Please view below a brief list of example projects. A small area can inspire big play! Imaginations soar as they become part of the Lord of the Rings clan in this Hobbit-inspired themed playground! Climb through Gollum's Cave as you make your way up, down, and all around to the Prancing Pony or make a deposit at the Hobbiton Bank! It can be tricky ensuring our middle school children get the exercise they need, so why not make it challenging and fun? Eastview Middle School playground sees tons of activity every day! They'll never guess how good all this is for them! Getting them outside has never been so easy! From the double net structure joining the wide variety of play equipment to the outdoor classroom, Arbour Lake Middle School students have so many reasons to get out and enjoy the fresh air! Accomodating diverse ages was the goal for this Family Resource Centre. Slides of varying heights and styles provide the motion kids love while net-based components create challenging climbing action. 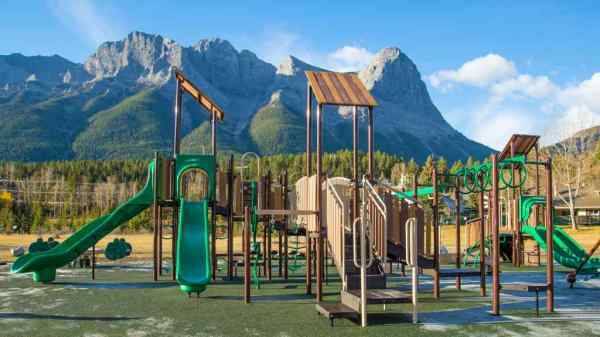 Inspired by Canmore’s majestic mountain setting, this woodsy design creates exciting play experiences for diverse ages. Transfer station and ground level play ensure that all abilities can join in the adventure! Gazebo decks at different heights connected via the Weblink provide multiple play opportunities for various age groups and skill levels. A unique circuit of overheads and climbers also creates challenges for both older kids as well as the younger ones! This unique design combines a trail theme with natural elements from our Rootz series to create a multi-faceted play experience. Wheelchair ramp provides easy access to the fun while adventurous climbers and overheads round out the play. Combining the favourite climbing, sliding, and upper body activities, this striking design delivers big play value in a compact package. Butterflies top off the fun! Something for everyone can be found in this fantastic playground! 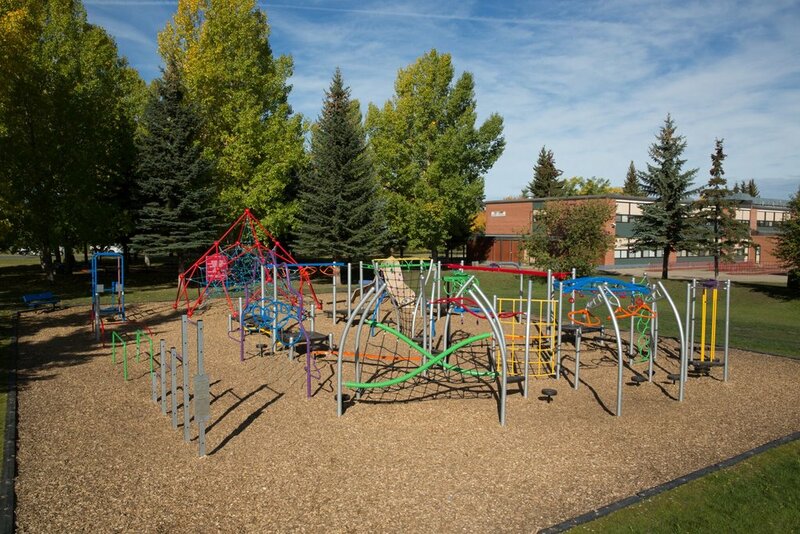 All elements of play are included in this play structure that allows for the ever-popular game of grounders to be played through so many different avenues! This compact community park design features a wide variety of activities to keep children of diverse skill levels active and engaged. Net-based Jungle Crossing and Spider web add a dynamic element. WOW! That's the first thing that comes to mind when you round the corner and see this fabulous playground! 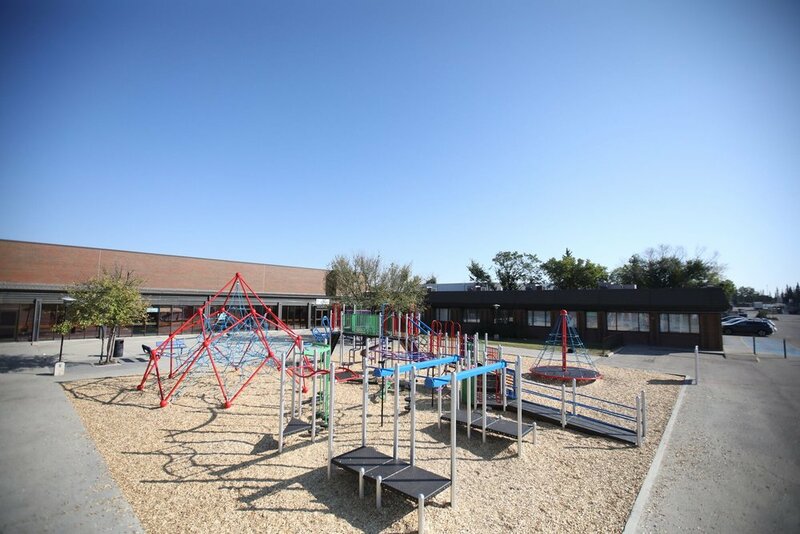 Climbing, gliding, sliding, playing grounders and making your way to the top of the world are just a few of the activities found here at Jumping Pound Ridge Playground! This amazing playground fits in snugly in this more mature neighborhood. With all the trees lining the streets, it only made sense to theme this unit with complimentary nature colours! It may be a hidden gem, but when you find it, there's all kinds of fun to be had. A little slide competition anyone?